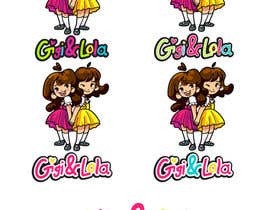 I need a cartoon illustration of both the girls in the attached 3x photos ([login to view URL], [login to view URL] and [login to view URL]). 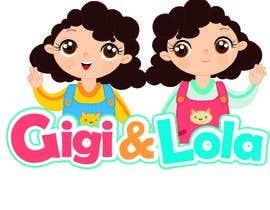 It's going to be used for a "kid's brand" logo called "GIGI & LOLA". I want to have the illustration in a circle or square so that it can be used in the logo. 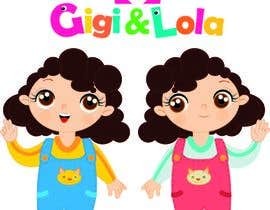 Extra points and preference for a cartoon of the girls WITH the brand name "GIGI & LOLA" in the illustration (like in kid's handwriting). I've also attached some examples ([login to view URL] & [login to view URL]) to show you what I'd like. Something similar quality would be good! Preferably I'd like to have the illustration available in vector format for printing purposes (.EPS, .PDF, .AI, etc). Hi, have you already checked #40? If not, please do, thanks. Hello, please check my entry #40. Let me know if you need any change. Hi, please check #36. Please let me know what you think and if there's anything to change. Thanks! Hello. Please check #37 This is just a rough sketch to understand whether you like this concept and my style of drawing. Tell me if you like the sketch and then I will continue to work on the logo. Please Check #26 And Please Give Me A Feedback. Hey everyone: PLEASE MAKE SURE THAT YOUR ENTRIES ARE ORIGINAL ILLUSTRATIONS... NOT STOCK VECTOR IMAGES! I need a cartoon illustration of the girls, not a filter. Sorry mate. Thank you for letting me know Isti, I had assumed that some of these were stock vectors from the quality and speed that they were received. Are you looking for that particular style you uploaded as the example, or just what kind of level of work you are looking for? I've designed one, but could do another in a different style with a little more direction on what you are looking for. Thanks! I like the one that “Olga” did... I like the cartoon kind of look... maybe I’ll upload a few examples and notify you once it’s uploaded. By the way, I’m a branding specialist and could definitely use someone like yourself for my other projects. Do you have a folio I can look through? Sir, give me feed back to complete my works. I have made my logo from your real picture. Hope you will like it. Ask me for any kind of improvement. Thank you. Hi there mate, I can’t seem to find your illustration. It says it was withdrawn?